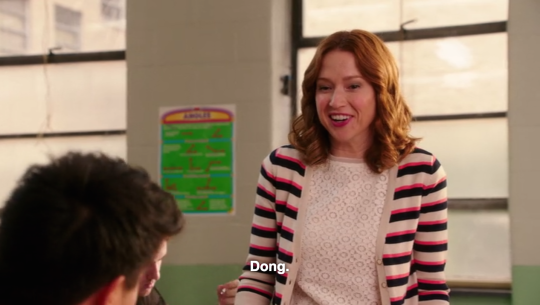 Not a big fan of 30 Rock.. but this show cracks me up. If you haven't watched it or if it's not even on your radar, give it a shot, netflix streaming. I binge watched them all. It's pretty brilliant. Casting is great.. I would have binge watched it but have kept it to 2-3 episodes / day. Only 3 left. Maybe it's the type of comedy but I don't really find this show that amusing. I laugh more at the memes created from this show than the actual show itself. I watched about 5 episodes and didn't laugh much or at all. Your singing woke up the bats! I watched it all in about three sittings. Took a few episodes to get into it, but once I did it was fantastic. The dialog is really quick and smart - it's easy to miss some of the jokes and references because they go by so quick. But if you can catch them it's really hysterical. Definitely a Tina Fey style of writing. LOTs of cameos too by some very big name stars. Fun to see who shows up. And that Pinot Noir song will not get out of my head. 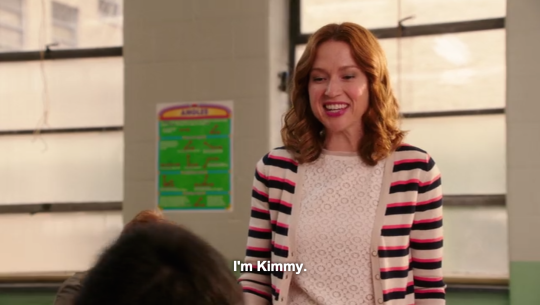 I've never heard of this show before but I've had a crush on Ellie Kemper since I first saw her in The Office. I'm definitely going to have to check this out. titus reminds me of my co-worker to a T.
If you want to get the theme song stuck in your head, this link has the original interview and the full theme song. Love how they came up with this - reminds me of that "hide yo kids, hide yo wife....." video. Last half of the last season is out.. just as charming as the first season and it ends beautifully. One of my favorite shows, going to miss this one.